Freemasonry is the oldest, and estimated to be one of the largest male fraternal organizations in the world. Freemasonry is dedicated to promoting improvement in the character of its members. A Freemason, or Mason, is taught to be a good citizen, to be of good character, to care for those less fortunate, and to give back to his community. That is only a small part of what a practicing Freemason learns. Freemasonry makes good Men better. Freemasonry traces its roots to the Middle Ages. It is from the guilds of operative, or stone masons, who built the magnificent cathedrals, castles, and monasteries of Europe from where the fraternity evolved. These guilds eventually began to accept members who were not actual working, but speculative Masons. At that time they adopted the term “Accepted” Masons, and Freemasonry was born. 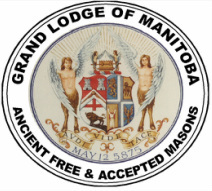 In Manitoba, the Grand Lodge of Manitoba, Ancient Free and Accepted Masons was formed in 1875. It is the governing body of the forty three Masonic Lodges located throughout our province. Freemasons of Manitoba Community Support Initiatives .